An alpine landscape with wild peaks, deep gorges and sloping walls. 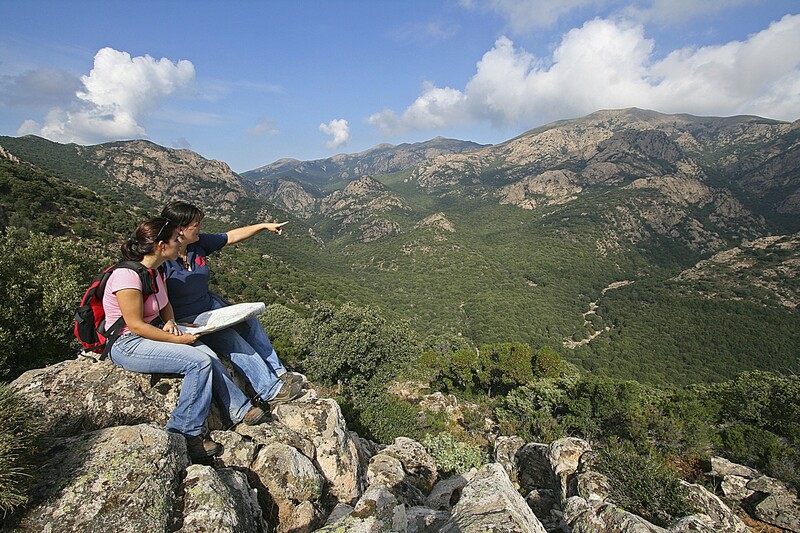 Monte Linas is made up of granite rocks dating back 300 million years and is one of the most ancient landmasses to have emerged in Europe. 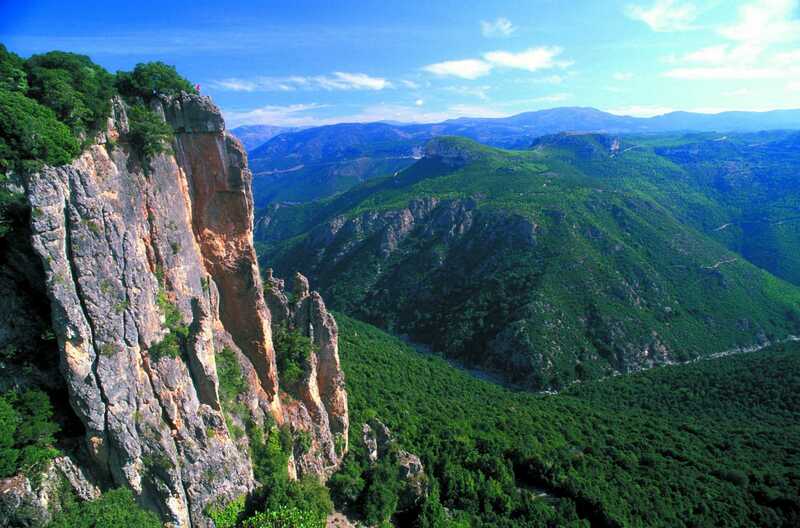 It is located on the eastern border of the Iglesiente area, downstream of the Cixerri river, and it borders with the mountains of Arcuentu, to the north, and Marganai, to the south, to which it is connected by the Oridda plateau. It occupies nearly one thousand square kilometres in the territories of nine municipalities in the Medio Campidano area. With its pink and grey granite peaks, it has almost eight thousand hectares of woodlands, made up mostly of holm oak forests. Thyme and helichrysum bushes fill the air with their fragrance, popping up between Mediterranean shrubs like strawberry trees, heather and phillyrea. At lower altitudes, you will find mastics, broom, wild olive trees and, near bodies of water, oleanders and willows. The lush vegetation is a home to several Sardinian red deer as well as wild boar, weasels, martens and foxes. If you look up, you might be surprised to see, flying overhead, the golden eagle, the peregrine falcon and the Eurasian sparrowhawk, which nest on the highest aiguilles, and the beautiful colours of the buzzard, the jay and the hoopoe. A network of paths lead into the woods: you can enjoy trips on foot, by mountain bike and on horseback. The complex has various gorges and gullies with torrents that descend downwards and create spectacular waterfalls: you will be charmed by Sa Spendula, Piscina Irgas and Muru Mannu, which falls from a height of over 70 metres and is the highest waterfall in Sardinia. The mountainous landscape is located in a metalliferous area, which has been widely exploited. All around, there are the ruins of mining plants: Montevecchio, Ingurtosu and Perd'e Pibera, where there is a park. 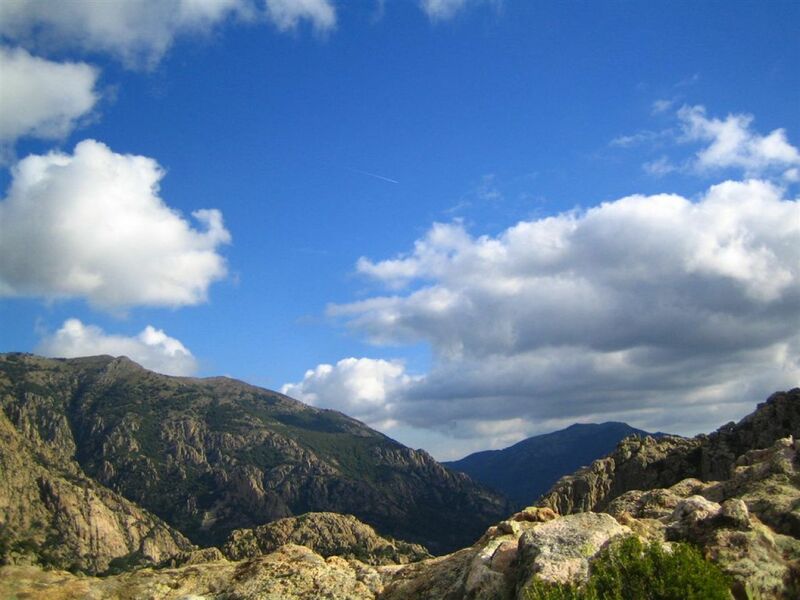 From here, by following the signposted trails, you will get to the highest point: Perda de sa Mesa (1236 metres). On the summit you can enjoy breathtaking scenery. A park named after the writer, Giuseppe Dessì, occupies the westernmost part of Linas, while in the limestone areas, towards Marganai, underground rivers flow and have created long underground caves over time, among which the beautiful cave of San Giovanni is really worth seeing. To reach the area use the SS 130. Do you like this place? Costa Verde and Sinis could be your ideal destinations.